Marvel's Cinematic Universe finally has a home for The Punisher - the mean streets of Netflix's Daredevil Season 2. By all accounts Marvel and Netflix's Daredevil was all kinds of amazing, a critical success that quickly prompted renewals for a second season. The only question that remained was where future episodes would take us - perhaps a renewed conflict with the Hand? The introduction of Elektra and Bullseye? While those are valid possibilities, Daredevil will introduce another Marvel vigilante first - Frank Castle, aka The Punisher, played by The Walking Dead's Jon Bernthal. Originally introduced in the pages of Spider-Man, The Punisher quickly became one of the most popular and recognizable street-level vigilantes of Marvel Comics. Frank Castle was a Vietnam war veteran whose family was killed in the crossfire of a mob war, prompting him to use his unique skills for a one-man war on crime. The character made frequent appearances in Daredevil, where his willingness to kill clashed with Matt Murdock's refusal to take a life. The Punisher went on to star in multiple successful comic books and three Hollywood film adaptations, the latest of which was released in 2008 before Marvel reclaimed the license. The Punisher isn't strictly a Daredevil character, but he's a wonderful addition to Marvel's Netflix line. He perfectly fits the street-level setting that leads into Defenders, and is a dark mirror to the instability Matt Murdock's faced throughout Season 1. Imagine Daredevil stepping up to face Kingpin again, only to be interrupted by a figure in a skull T-shirt who carries a rifle. It might just prove to be one of the best on-screen superhero throw-downs until Cap and Iron Man clash in Civil War. 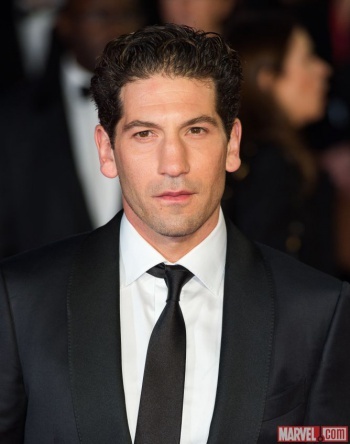 While we're at it, Jon Bernthal should prove a fantastic choice for Frank Castle. From The Walking Dead, to Fury, to The Wolf of Wall Street, Bernthal has excelled at characters who are dangerous and unstable, yet strangely relatable. Here's hoping he's a great addition to Daredevil's already rock-solid cast. Daredevil Season 2 will arrive on Netflix sometime in 2016.